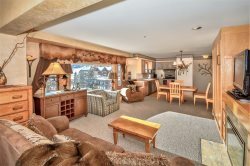 As a guest staying at one of our properties and with Travel Big Sky Vacation Rentals, we are more than happy to assist you by shipping your luggage or ski gear directly to our office in the Meadow Village in Big Sky Montana. We are more than happy to bring your items to your accommodations on the day of your arrival. Instructions on how to ship your items can be provided for you by one of our guest services specialists, feel free to contact us at (855) 466-4667. Here below is the address to get you started but make sure to get the details prior to making your shipment and that we are aware to expect a shipment on your behalf. We look forward to providing you with our concierge services to make your stay enjoyable. Any questions, please feel free let us know, happy to help!